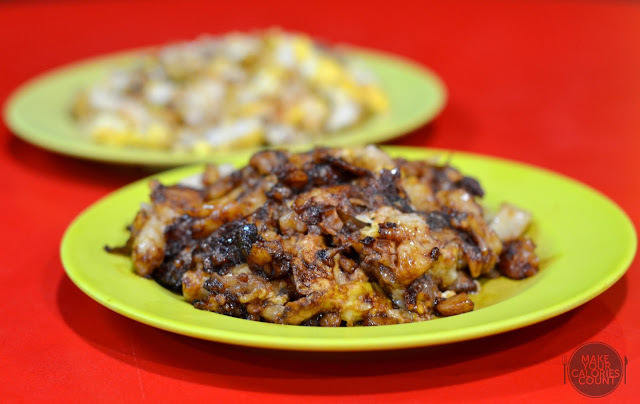 [SG] Bukit Merah View Carrot Cake - freshly grounded radish! 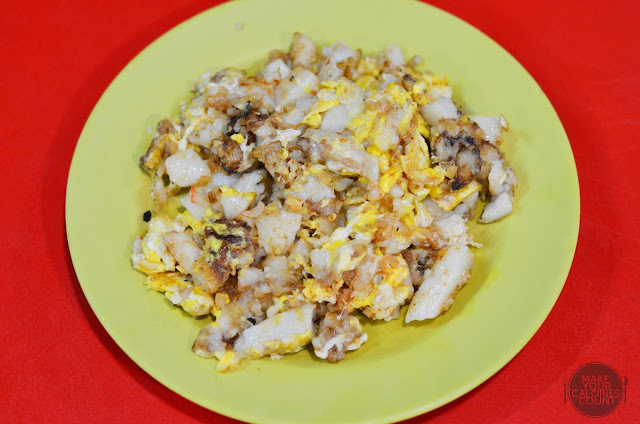 Chai Tau Kway or more commonly known as carrot cake is one of the dishes whereby I would proudly acclaim it to be uniquely Singaporean. However, it is a shame that the tradition of making carrot cake from scratch is a trade that is dying, considering the sheer amount of hard work involved. 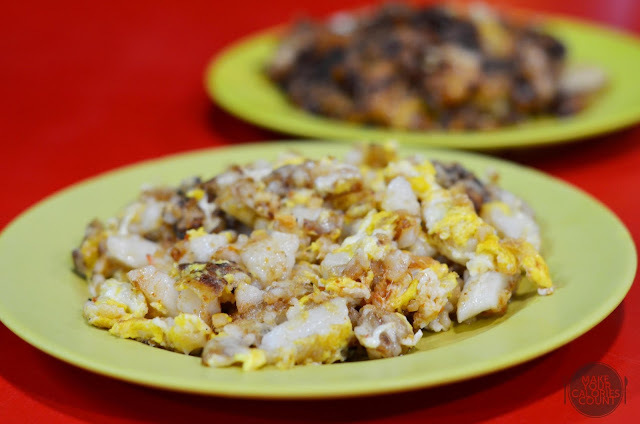 Bukit Merah View Carrot Cake is one of the rarities left in Singapore whereby the family of three brothers take turns to mill rice themselves every morning to make the real carrot cake. The broken rice grains are milled down to a watery solution before adding piping hot water to cook the starch, which then turns into a paste. Diced carrots and radishes are subsequently added to the paste and steamed for four hours before it becomes ready to be pan-fried and served to customers. 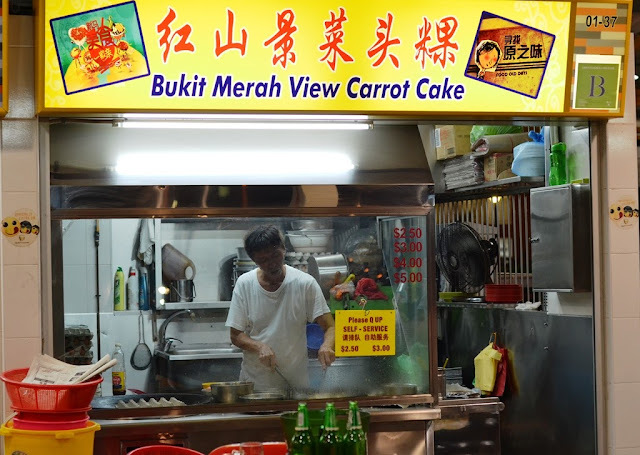 Does it taste different from the typical carrot cakes at other hawker stalls then? It is one of the few places where I can still find a plate of carrot cake at an affordable S$2.50 and still expect to walk away feeling full. Quite honestly, the white and black version are not much different except that the latter had sweet sauce tossed in towards the end of the cooking, just before being served. We loved it because there were beautiful crisp bits and the carrot cakes come in chunks and blocks rather than in small bits. The reason, according to the owner, was that so that diners could taste the radish that went into the making. The smooth radish complemented the pan-fried crisp bits well and the portion of eggs was certainly generous in each plate. The sweetness of the sauce was the icing on the (carrot) and personally I favoured the black version just that bit more. However as the sweet sauce was only tossed over the carrot cake just before serving, there were unfortunately some parts of it which was not evenly mixed so the sweetness was not consistent enough. Overall, it was still a dish done traditionally and tasted very well indeed. I think the above pictures do more justice in the size and shape of each piece of the carrot cake and the plain white version were savoury and tasty on its own. While the taste of the radish might not be strong and forthcoming, you could surely taste the difference from the commercial mass-produced ones with this just being that extra fragrant and savoury to say the least being on its own. Expect to enjoy some of that crispy bits too! We went in the evening and the owner seemed rather tired and reluctant to share more than what was asked and came across as someone with a rather 'cool' attitude. As expected, you would need to self-collect your orders and personally, this would be one of our MUST-TRY given the traditional traits involved in the making process and the overall taste. i was JUST there this evening! my dad has been patronising this stall since forever. i think this is one of the major contributors to his high cholesterol count. heh. thank you! will definitely go and try out those two! please continue writing too! your posts are very interesting! [SG] Hamanoya - The Dining Edition's hidden gem! [HK] Coffee Alley | 咖啡弄 - 成功在於甚麼? [SG] Lady M Confections - Overrated maybe? [SG] Flor Patisserie - cakes worth the travel!